It was February 1906. A grand exhibition had been arranged at Midnapur in Bengal. The intention was to hide the injustice of the British then ruling India. On exhibition were articles like pictures and puppets which could create the impression that the British rulers were doing much to help the people of India. There were big crowds to see the exhibition. Then appeared a boy of sixteen with a bundle of handbills; he was distributing them to the people. The handbill bore the title ‘Sonar Bangla’. It carried the slogan ‘Vande Mataram’. In addition, the true purpose of the British in putting up the exhibition was also exposed. The various forms of British injustice and tyranny were also explained. Among the visitors to the exhibition, there were a few loyal to the Britishers. They were opposed to the persons who exposed the injustice of the British. Words like ‘Vande Mataram’, ‘Swatantrata’ (freedom) and ‘Swarajya’ (self-rule) were unacceptable to them. They tried to prevent the boy from distributing the handbills. Their eyes red with anger, glared at the boy, rebuked him and frightened him. But ignoring them the boy calmly went on distributing the handbills. At last, a policeman caught hold of the boy’s hand. He pulled at the bundle of handbills. But to catch the boy was not so easy. He jerked free his hand. Then he swung the arm and powerfully struck the nose of the policeman. Again he took possession of the handbills, and said, “Take care, don’t touch my body! I will see how you can arrest me without a warrant.” The policeman who had received the blow rushed forward again; but the boy was not there. He had disappeared in the midst of the crowd. As the people burst into cries ‘Vande Mataram’ the police and the loyal to the British were filled with wonder but also felt humiliated. Later a case was filed against the boy; but the court set him on the ground of his tender age. This boy was Khudiram Bose. Khudiram Bose was born on 3rd December, 1889 in Medinipur district. 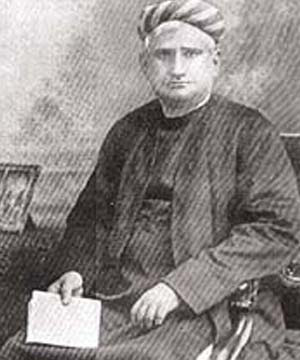 His father Trilokyanath Bose was the Tahsildar of the town of the Nadazol. His mother Lakshmipriya Devi was a pious lady, who was well known for her virtuous life and generosity. His parents had two sons before the birth of Khudiram but both of them died prematurely. The last child, Khudiram Bose, was the only surviving son. The Bose couple unexpectedly died when Khudiram was just six. The boy’s elder sister Anurupadevi and his brother-in-law Amritalal had to shoulder the responsibility of bringing him up. Anurupadevi looked after Khudiram with the affection of a mother. She wanted her younger brother to be highly educated, get a high post and to make a name. She therefore admitted him to a nearby school. It was not that Khudiram could not learn. He was smart and could grasp things easily. But he could not be attentive to the lessons in his class. Thoughts entirely unrelated to the lessons were revolving in his head. A born patriot, even at the age of seven or eight, Khudiram Bose thought, ‘India is our country. It is a great country. Elders say that this has been the home of knowledge for thousands of years. Why, then, are the red-faced British here? Under them, our people cannot even live as they wish. Both his sister and his brother-in-law wondered what troubled the boy! They thought that the memory of his mother troubled him, and treated him with greater affection. But Khudiram was unhappy about Mother India. His anguish grew day by day. Once he heard the chanting of this slogan “Vande Mataram’ from Bankim Chandra’s novel ‘Anandamath’, it struck to his mind as a sacred phrase and inspired him completely. Within a few days of the publication of the novel ‘Anandamath’, the song Vande Mataram’ became the favorite ‘Mantra’ (incantation) of patriots. Whenever they gathered together, they would shout the magic words ‘Vande Mataram’. Bankim’s novel inspired more and more people. Many organizations sprang up to train young men in the use of pistol, lathi, dagger and the like. Some important ones were Anusheelana Samiti, Jugantar, Bhrato Samiti, Vande Mataram Sampradaya and Circular Virodhi Samiti. The determination to free the Mother even at the cost of life, happiness, family, money and all grew stronger. Khudiram Bose showed a revolutionary spirit even when he was a mere child. It was in the years 1902-1903 that Khudiram Bose was inspired to plunge into active freedom struggle. During this time Sri Aurobindo and Sister Nivedita were in Midnapur to deliver a lecture inspiring people to join the freedom struggle against the British. Khudiram Bose was a teenager at that point of time and was bubbling with energy. He was part of student revolutionary groups in Tamluk (Midnapur). Inspired by the speeches of Sri Aurobindo, Khudiram Bose took part in the secret planning sessions that were held by Sri Aurobindo and Sister Nivedita. Shortly after, in the year 1904, Khudiram Bose shifted from Tamluk to the main town of Midnapur, not only to enroll at the Midnapur Collegiate School but also to take part in the martyr activities that were then a common occurrence in principal towns across India. Khudiram Bose became an active member of a martyrs’ club and soon won the attention of even his seniors at the club through his adventurous and leadership qualities, his dedication and his services to the society. Thus inspired by the song Vande Mataram, thousands of Indians rebelled against the British. The situation created a fear among the rulers that their empire in India would not last long. So they tried to split the Hindus and the Muslims. In the western part of Bengal the Hindus were in majority and in the eastern part the Muslims. Realizing this, the British devised a new plan. In 1905, when Lord Curzon was the Viceroy of India, orders were issued dividing Bengal into East Bengal and West Bengal. But the people of India knew the purpose of the British. Patriots from different parts of the country opposed the partition of Bengal with one voice. In many places meetings, processions and non-violent strikes (satyagraha) were held, with the words ‘Vande Mataram’ on everyone’s lips. It was at this time Khudiram was initiated into revolution. He watched with interest the different forms of protest against the partition of Bengal. Watching them he could not be silent. He wanted to know their background. When he read ‘Anandamath’, he got a clear vision of his life’s task. He decided to dedicate his life to the service of the Mother. He admired the way of revolutionaries who were determined to organize patriotic men, and fight bravely against the foreign rulers to free the country from slavery. Men of a noble character and a pure life, they were not afraid of any hardship. Khudiram too desired to become one of such revolutionaries. He made friends with them. They tested him in several ways and he proved his worth. So his formal education ended. In the days following his initiation Khudiram learnt the use of weapons like the pistol, the dagger and the lathi, and became an expert. Though lean, he was very agile. At the same time he took up the task of spreading the gospel of ‘Vande Mataram’. The leaders of Khudiram’s group of revolutionaries recognized his special devotion and interest in ‘Vande Mataram’. They decided to print handbills containing the song and distribute them. Khudiram took an important part in this task. This was the background of the incident at the Midnapur Exhibition. Apart from Sri Aurobindo, Khudiram also derived inspiration from verses in the Bhagavad Gita and the words of his teacher Hemchandra Kanungo Das. 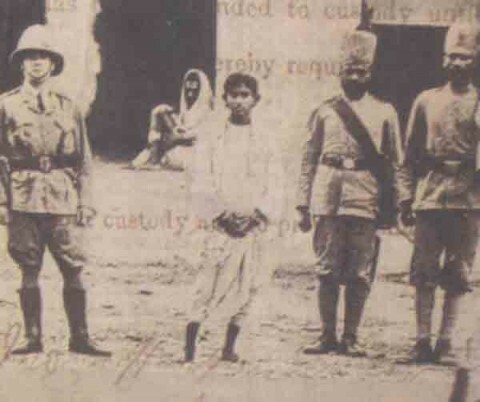 In the year 1905, Khudiram Bose became involved with the political party Jugantar to show his disobedience to the British government following the Partition of Bengal the same year. A few months later Khudiram Bose planted bombs close to a police outpost in Midnapur. 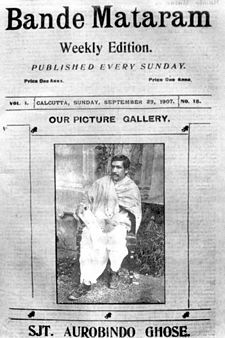 ‘Vande Mataram’ was a very popular newspaper in Bengal. The great patriot Bipin Chandra Pal had started the paper. Maharshi Aurobindo Ghosh was the editor. The paper not only published articles inculcating radical patriotism, but also fearlessly condemned the acts of injustice of the British. It was like the true patriot’s friend and guide; so it was a nightmare to the British. In 1907, the British prosecuted the newspaper on a charge of treason. The trial was held at the Police Court of Lal Bazaar in Calcutta. Everyday thousands of young men used to gather outside the Court. Every day they shouted Vande Mataram with one voice, thus displaying their pride in the paper and it proved the support enjoyed by the paper. The steel-helmeted police used to make inhuman lathi (wooden rod) charges on the crowd. On the 26th of August 1907, when such a case was going on, thousands of youths had gathered as usual before the court. They had not yet begun to shout ‘Vande Mataram’. They were silent, and created no trouble. This itself probably provoked a sturdy, red-faced policeman; he suddenly started beating the young men with a wooden rod (lathi). Nobody resisted. But the lathi in the hands of that sturdy person wheeled round with a greater force. Sushilkumar Sen, a boy of fifteen, who was standing at a distance, could not bear the sight. Stepping forward, he said to the official: “Why are you beating the people without any reason?” He tried to stop him. “Who are you? Get out!” the Englishman shouted and hit Sushil. Provoked, Sushil said, “I will show you who I am.” He suddenly pounced on the Englishman and struck a powerful blow on the nose of the Englishman who was four times as big as he. Pulling away the lathi from his hand, the boy went on beating the Englishman himself. ‘Just taste the blow of an Indian boy’, he said and beat him till the English man began to bleed. Then other policeman came up and caught hold of Sushil. They arrested and took him to the court. The magistrate who conducted the trial was Kingsford, notoriously famous for his cruelty. He ordered a punishment of fifteen lashes. The police took out Sushil, and stripped him. They mercilessly gave him fifteen lashes. Sushil did not weep, nor did his smile fade. At every stroke, he cried ‘Vande Mataram’ !! There were countless such incidences of Kingsford’s cruelty. The revolutionaries thought of teaching a lesson to Kingsford, who was a monster in human form. The punishment, which he gave to Sushilkumar Sen, added to their fury. As long as Kingsford lived, he was a menace to the patriots. Hence they decided to kill him. The British Government got a sense of the revolutionaries’ decision. It was convinced that Kingsford’s life was in danger. The Intelligence Department suggested to the Government that it was better to send him to England. The Government did not listen to the suggestion. Finally Kingsford was promoted to the post of a District and Sessions Judge and transferred to Muzaffarpur (Bihar). Even after his transfer to Muzaffarpur, Kingsford would not end his cruel acts. In the first week of April, the revolutionaries of the Jugantar Group held a meeting at a house in Calcutta. They were to discuss how to punish Kingsford. Aravinda Ghosh, Subodh Mallik, Charudatta and others were present at the meeting. It was decided that Kingsford should be shot dead. But their leader was worried about the choice of a person to do this. Some were eager to accept the task. But the leader did not wish to select any one of them. All of a sudden the leader’s eye fell on Khudiram who was sitting in a corner. The glance seemed to ask ‘Can you do this?’ Khudiram understood it. There was a glow in his eyes. After listening to the possible repercussions if he got caught and warning from the leaders, Khudiram said calmly but firmly, “I know. At the worst they can hang me. To give up my life Motherland is, I consider, an act of merit.” Prafulla Kumar Chaki, quite sturdy and of about the same age as Khudiram, was to go with Khudiram on this mission. The leaders of the revolutionaries gave each of the boys, Khudiram and Prafulla, two revolvers, a bomb and a little money, and sent them with their blessings. They set out full of zest to end the life of Kingsford. It was on the night of April 30, 1908 that Khudiram and Prafulla approached the European Club at Muzaffarpur. With a revolver and a bomb ready, they hid themselves waiting for Kingsford to come out. In a short while, a carriage drawn by a horse moved from the compound of Kingsford’s bungalow. Khudiram who held a bomb in his hand, whispered to Prafulla, “run-away soon after I throw the bomb. Don’t worry about me. In case I survive, I shall touch the feet of our revered teacher. Be ready to run. Vande Mataram!” The carriage approached. 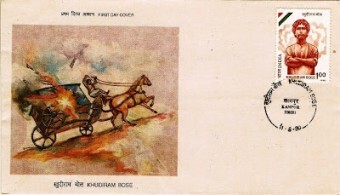 When it was just opposite him, Khudiram aimed at the carriage and threw the bomb inside. The first bomb thrown against the British by India leapt from a young hand. As the bomb touched the coach there was a deafening explosion. A blood-curdling cry was also heard at the same moment. Without watching to see what would happen next, Khudiram and Prafulla ran away in different directions. Kingsford was lucky. He was not in the carriage on which Khudiram threw the bomb. The persons in it were Kingsford’s guests, the wife and the daughter of a lawyer Kennady, and a servant. The daughter and the servant died immediately. Mrs. Kennedy, who was seriously injured, died a day or two later. Khudiram’s words drew the attention of the people in the shop. The boy looked a stranger to the place. Utter fatigue was clear in his face. The shopkeeper’s suspicion grew stronger. He entertained a hope that he would be rewarded if he could expose Khudiram. Immediately after serving water to Khudiram, he gave a hint to the police going on their usual rounds nearby. The police arrived and caught hold of him. Khudiram failed in his attempt to take out the revolver from his pocket. Both the revolvers in his pockets were seized by the police. Prafulla kumar Chaki, too, had run away like Khudiram. He evaded the police for two days. On May 1st, when his companion Bose was arrested, Prafulla Chaki was received in the house of a local in Muzaffarpur who did his best to save his life by providing food, rest and also a train ticket to destination Kolkata. Prafulla Chaki had to change trains on his way from Muzaffarpur to Howrah and it was in the train that misfortune met him in the form of Nandalal Banerjee, the sub inspector in the British police. Immediately suspecting the young Prafulla, Nandalal Bannerjee was successful in tracing information which led him to believe that it was Prafulla Chaki who was involved in the Muzaffarpur incident. As soon as Prafulla Chaki left his first train to board the next which would drop him to Howrah, Nandalal Bannerjee was prepared with other police personnel to arrest him. While Prafulla Chaki tried to kill Nandalal Bannerjee by shooting at him, his attempt was unsuccessful. “Any way, I shall not allow them to touch me when I am alive” he resolved. Taking out his pistol he shot himself and died a heroic death. The police cut off his head on Kingsford’s instructions and carried it to Muzaffarpur. The Railway station was crowded to see the boy. A mere 18 year old, who looked quite determined. He came out of the first class compartment and walked all the way to the phaeton, kept for him outside. Like a cheerful boy who knows no anxiety, on taking his seat the boy lustily cried “VandeMataram”. 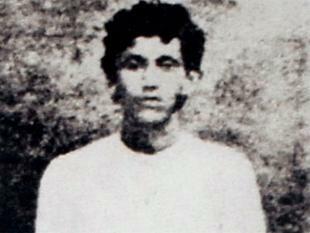 Khudiram Bose was put behind bars on May 2, 1908 and the court trial began on the 21st of May. Binodbihari Majumdar and Mr. Mannuk were the prosecutors for the British government, while Upendranath Sen and Kalidas Basu fought in Khudiram Bose’s defense. Narendranath Lahiri, Satishchandra Chakraborty and Kulkamal Sen also joined the team of defense lawyers for Khudiram Bose as the trial progressed, the entire team fighting the case for free. On May 23, 1908, Khudiram Bose had to give his first statement in court. Following the advice of his lawyers, Khudiram Bose denied any involvement in the gunshots and bombings that led to the death of the two British women in Muzaffarpur. The trial progressed slowly with the judge announcing that the final verdict would be delivered on June 13. It was on the date of the verdict that the prosecutors in Bose case received an anonymous letter warning that bombings would soon take place in Kolkata and this time it would be the Biharis rather than the Bengalis who would be behind the attack. The defense board was now sure that the letter would convince the judge that people other than Khudiram Bose can be involved in the killings in Muzaffarpur. The chief intention of the defense board in the case was to prevent the pronouncement of a death sentence for Khudiram Bose. However, the British Raj was not prepared to let go off an Indian who had already been declared as a revolutionary. Even when the judgment was being read, Khudiram did not show even a faint trace of fear. The judge was surprised that a boy of eighteen years accepted death so calmly. “Do you know what this judgment means?” he asked. Khudiram replied with a smile “I know its meaning better than you.” The judge asked, “Have you anything to say?” “Yes. I have to explain a few things about making bombs.” Kalidas Bose yearned to save Khudiram. He appealed to the Calcutta High Court on behalf of Khudiram. Kalidas’s plea was that both Khudiram and Parafulla had remorse for missed target and innocents being killed. But Khudiram also reiterated that he will attempt again not to miss his target this time, if let off. The judge of the High Court confirmed the death sentence given by the lower court. But he postponed the date of the execution from August 6, 1908 to August 11. As had been decided, Khudiram was brought to the gallows at 6 A. M. on the 11th of August, 1908. Even then the smile on his face had not faded. Serenely he walked to the post. He had a copy of the Bhagavad-Gita. For the last time he chanted aloud, ‘Vande Mataram’. Khudiram’s sacrifice did not go waste. Of course, the bomb thrown by him hit others, but not Kingsford. But the bomb of fear had entered the mind of Kingsford. Right from the day when Khudiram became a martyr, Kingsford had no peace of mind. Each moment seemed to bring him death. At last, he was so terrified that he resigned his post and settled at Mussorie. Kingsford, who frightened and tortured the innocents, himself died of terror. Khudiram Bose will always be remembered in the history of Indian independence as the proponent of the ‘Agni Yuga’ or the fiery age, an era which was characterized by young people getting involved in the fight against the British without thinking twice about their own lives. Khudiram Bose was one of the first martyrs of the Indian freedom struggle in the early twentieth century. In the course of time, thousands of young men and women followed in his footsteps and fought the British vociferously. While Kingsford had to quit his post, the British had to quit India itself.